Despite its amazing growth in popularity, many serious practitioners of the ancient art of yoga see it as nothing more than a series of powerful physical exercises designed to give one a perfect body. First and foremost, yoga is a systematic process of spiritual unfolding. The path of yoga teaches us how to integrate and heal our personal existence, as well as harmonize our individual consciousness with God. Devotional meditation upon God is at the very heart of any good yoga practice. For this reason, yoga has often been called “meditation in motion”. Yama: These are five positive ethical guidelines (restraints, or abstinence) that include non-violence, fidelity to the Absolute, non-stealing, truthfulness and non-attachment. Niyama: These are five positive behaviors, including cleanliness, contentment, self-discipline, self-study, and devotion to God. Asana: These are the actual physical exercises that people usually associate with yoga. These powerful poses are designed to give our bodies strength, flexibility, and energy. They also contribute to the deep sense of relaxation that is necessary in order to lovingly meditate on the Absolute. Pranayama: These are the energizing breathing exercises that produce vitality, overall health, and inner calm. Pratyahara: This is detachment from the ever-present fluctuations of life. Through this practice, we can transcend all the trials and sufferings that life often seems to throw our way and begin to see such challenges in a positive and healing light. Dharana: This is the practice of powerful and focused concentration. Dhyana: This is devotional meditation on God, designed to still the agitations of the mind and open the heart to God's healing love. Samadhi: This is blissful absorption of one's individual consciousness in the essence of God. In this state, the yogi experiences the direct presence of God in his or her life at all times. The result of samadhi is peace, bliss, and happiness without end. Karma-Yoga: The worker is called the Karma-Yogi. Raja-Yoga: One who seeks this union through mysticism is called a Raja-Yogi. Bhakti-Yoga: One who searches this union in love is a Bhakti-Yogi. Jnana-Yoga: One who seeks this Yoga through philosophy is called the Jnana-Yogi. An ideal human being, according to Hinduism, is one who has all the elements of philosophy, mysticism, emotion, and work present in him in equal proportions. 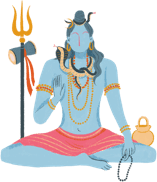 To become harmoniously balanced in all these four directions is the ideal of Hinduism, and this is attained by what is known as "Yoga" or union. If you've ever tried a yoga class, try going that next crucial step and explore the spiritual dimensions of yoga. And come back to your true self. This article includes excerpts from the writings of Dr. Frank Gaetano Morales, a Ph.D. from the Department of Languages and Cultures of Asia at the University of Wisconsin-Madison, and a world-renowned authority on yoga, spirituality, meditation and achieving self-realization. Reproduced with permission of the author.